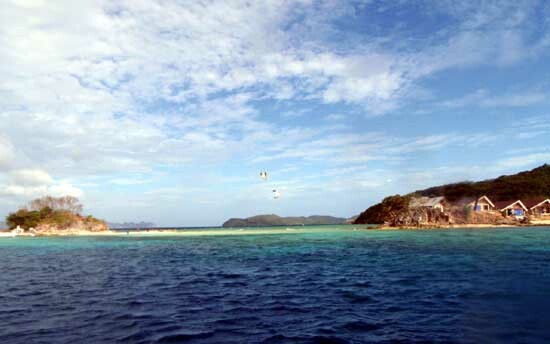 I've always been curious about Culion. 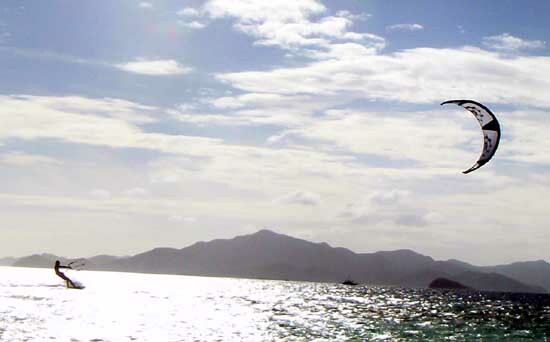 According to the map, it's about half the size of Busuanga - which leaves a lot of ground (or reef) to explore. But little is known about it except for being a leper colony. Sadly, I never got to tour it. 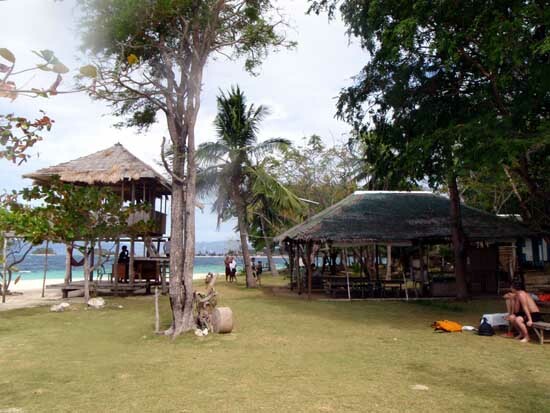 Through the Calamianes Expeditions by Al and Mae Linsangan, the closest thing to it was the island tour I got that took me to Culion's 3 satellite islands - Malcapuya, Banana and Bulog Islands. 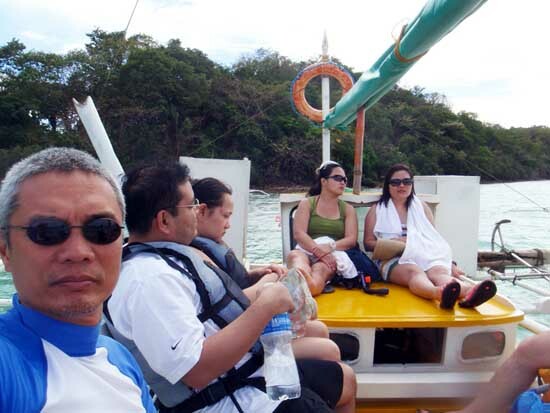 I was joined on the tour boat by mostly Filipino tourists. 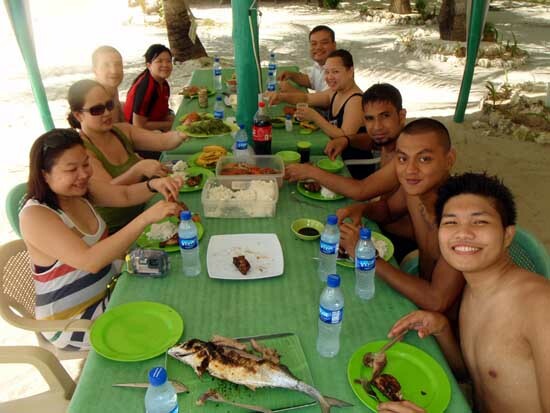 I noticed that on scuba dive tours, it's mostly foreigners, but island tours, it's mostly Filipinos. I kinda hooked-up with 3 cool guys from my Letran (where I spent the early years of my grade school). 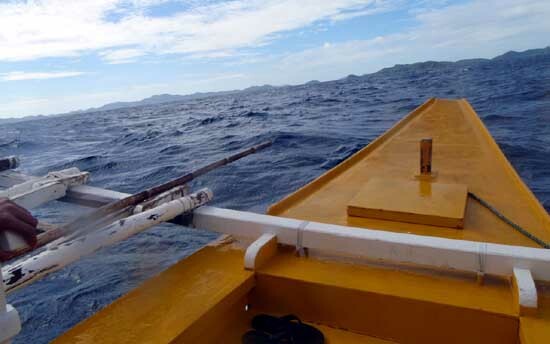 With a choppy sea, the nearly 2-hour boat ride to the first island, Malcapuya, was not for the sea-sick. But the long ride was worth it - Malcapuya Island boasted of a wide long beach with fine white sand with sheltered huts close to shore. We were there just to chill out and be pampered. 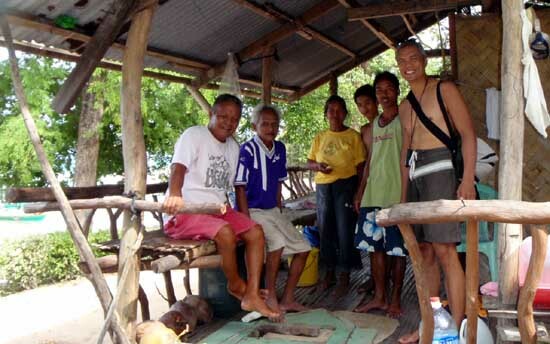 Our meals were provided, and they were satisfying and generous - grilled fish, crabs, sea weed salad, bottled water, etc. On a bouy marker pointed to me by a local, a clustering of juvenile giant clams could be seen just about 10 feet deep. But getting there was a challenge - the waves were pounding and it was quite a distance away from the shore. I was joined by one of the Letran guys who came with a mask/snorkel, but no fins. By the time I reached the clams, I already heard my buddy yelling for help. Without fins, the waves were just too much. He wasn't drowning yet, but soon to be - he looked exhausted. My biggest fear was if I rescue him and he panics, he'll take me down with him! I came close to him (but not within grabbing distance) and talked to him. Knowing he was still coherent, I asked him not to panic as I held his head from behind and did a back-paddling to shore - a rescue procedure I still remembered back in the day. 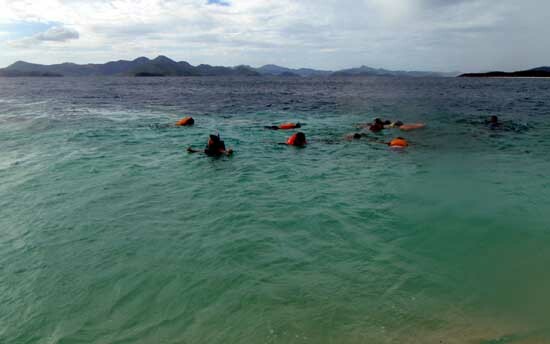 We reached the shore safely with no further incident. I'm just glad he was calm the whole time. 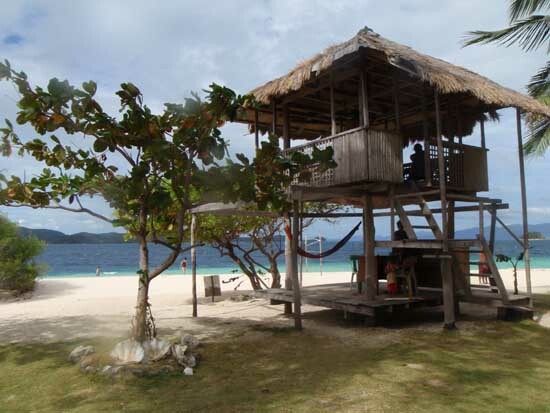 Next stop was the nearby Banana Island. It wasn't as wide or long as Malcapuya but close to the shore was a drop-off, ideal for snorkeling or free-diving - which is what I did. 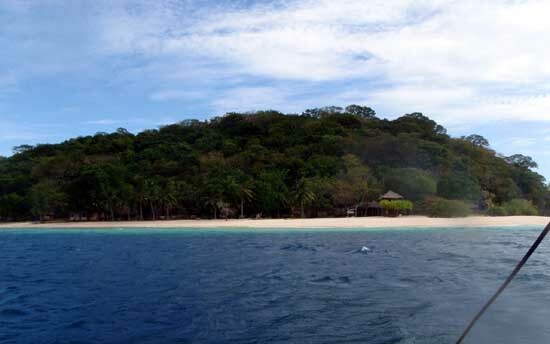 The reef was decent, but can't really compare to the likes of Calumbuyan reef. The peeps from the party boat did some fish feeding with their masks. Again, it was just chilling out until the boatmen prompted us for the next island. 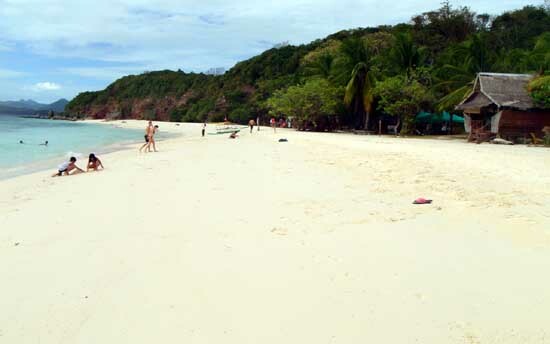 Of the 3 islands, Bulog probably has the smallest and narrowest beach but with a tailing sandbar that probably connects it to the adjacent island on low tide. 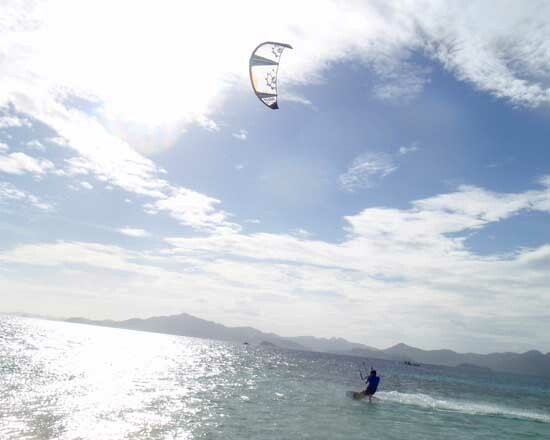 The highlight of this island however, was my first sight of a kite-boarder. There was a French contingent doing kite boarding. It was epiphany for me when I saw this boarder change direction but in so doing, flew-off about 25 feet into the air, stayed suspended somehow, and then came down gently on the water while still being pulled by his kite. 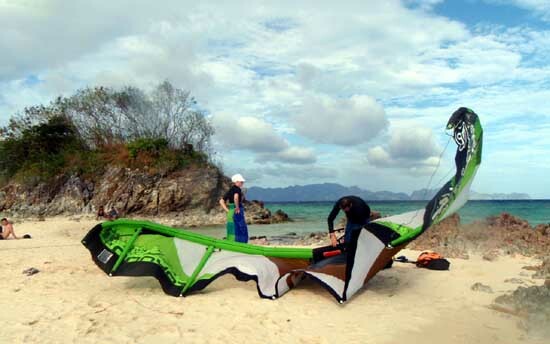 It was pure green energy at play - no moror boat, no mechanical towing device (unlike wake boarding). I was biten by the bug on this one. 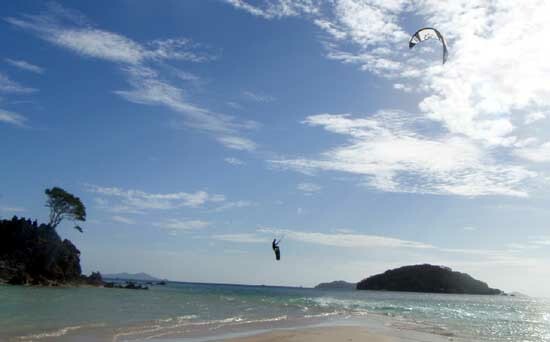 I vowed to learned kite boarding after that incident. The trip back was equally as long, but this time, we were fatigued, wet and cold. Tip - bring a wind breaker with you. It would have been a perfect time to go to Maquinit Hot Spring, but as usual, I got sidetracked into some other place. Altogether, it was a full day with long-lingering thoughts about kite-boarding. 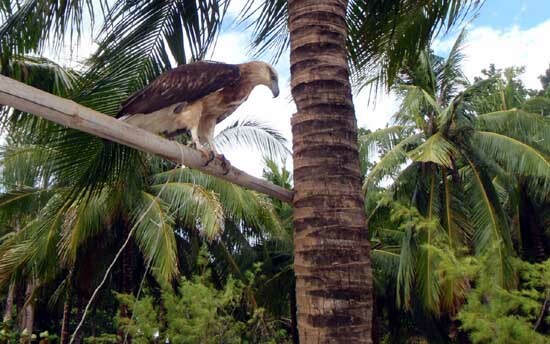 disclosure: Calamianes Expeditions and Ecotours became clients after my initial talks with Al and Mae. This blog is not a lip-service for them - they just happen to be doing a great job and I subscribe to their vision of a community-based social enterprise. (Apr 16, 2012) whew! i held my breath there ha! glad you and your bud are safe.